Cal Clark went 3-for-3 with a double and RBI. Kirby Kerr was 3-for-4, Ethan Copeland went 2-for-4 with a three-run triple, Nick Day contributed a two-run double and Casey Pauli had two hits. The Stars finished with a 1-2 record in the tournament. Red Top (2-1) will face the Muscatine Flames (2-1) when the tournament resumes this Saturday at Norway, with the game scheduled for noon. The Muscatine Road Runners (2-1) face Norway (2-1) at 2 p.m., followed by Walford (3-0) against Red Top or the Flames at 4 p.m. The second round will finish Saturday at 6 p.m. with Williamsburg (2-0) meeting the Road Runners or Norway. The tournament will continue next Sunday at Norway, with a second championship game on Monday night, if needed. 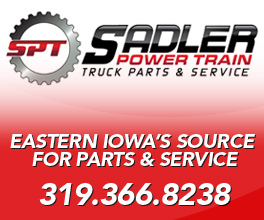 "I feel good," said Sadler. "Any time you keep playing, you feel good to have an opportunity to win a state championship. It's up for grabs." Williamsburg, Walford and Norway won both of their games on Saturday, but Williamsburg won the tiebreaker (fewest runs allowed) and drew a bye on Sunday into Week 2. Walford nipped Norway, 6-5, in the winners bracket final Sunday in Rock Island to remain undefeated. The Bandits put runners at first and third with one out in the bottom of the seventh, but their next batter hit into a double play to end the game. The tournament began with 12 teams. 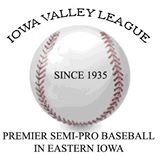 Now six teams have reached Week 2, with four of those teams from the Iowa Valley League. All of next weekend's games will be played at Norway.